That's brilliant Katie! Even though they're going to be travelling from Aus, I reckon I might have a go at sending some cards too. Hey Katie! 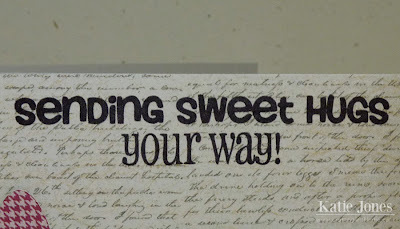 I've put one together already, another quilted card (your inspiration just keeps on giving!) - I'd love it if you had time to check it out! 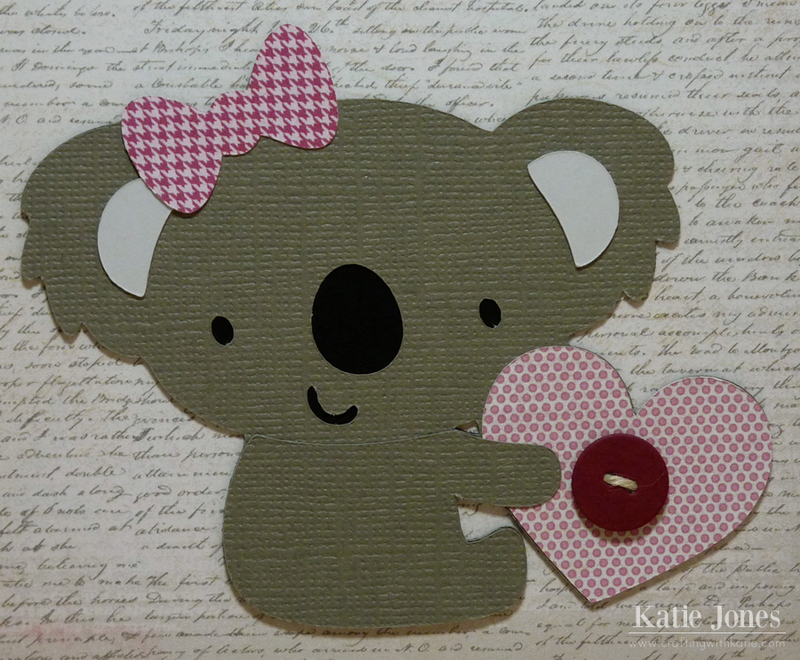 darling card katie! and of course the houndstooh bow!!! getting ready to post on FB now! this is so sweet of you too!!! Katie, love the card and what an amazing cause. The bow is too cute. Thanks so much for letting us know about this wonderful organization. 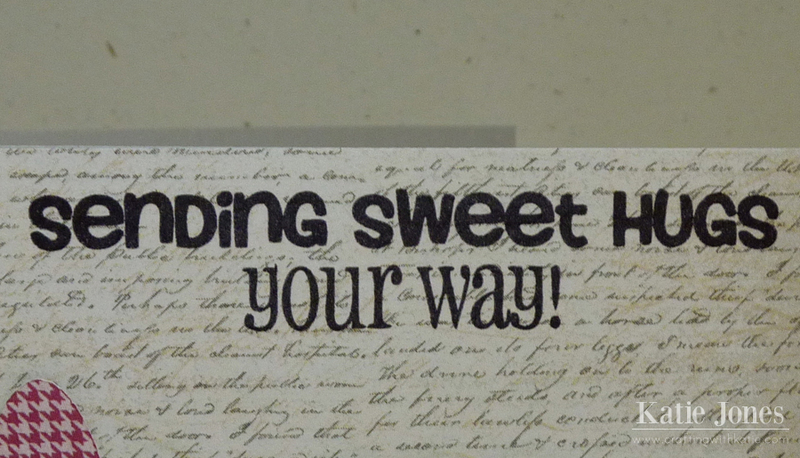 what an adorable card and like the sentiment!!! and what a great organization, to creat lovely cards for cancer patients !!!! such a cute bear card! love it! I went through my own battle and treatment for leukemia 2 years ago!! so I understand! such a great cause! 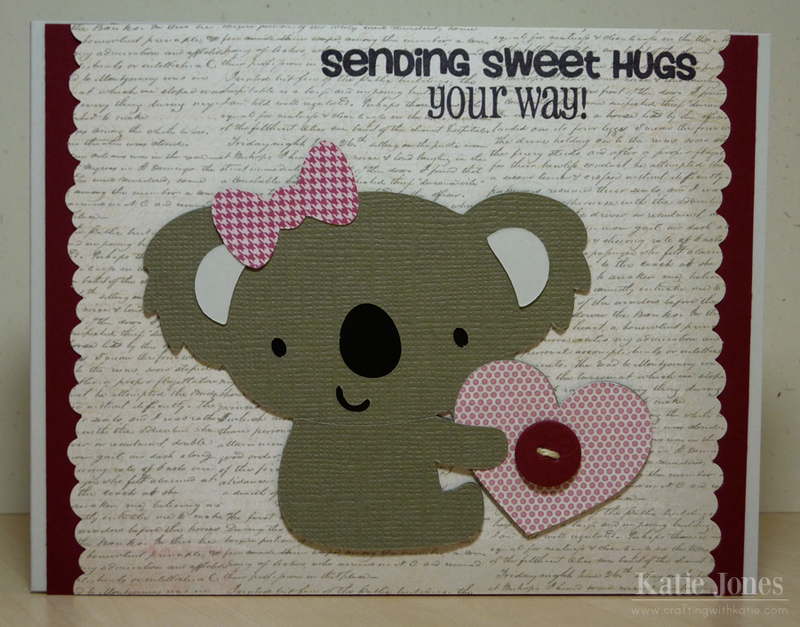 Very sweet koala and a great cause! Katie ~ What a GREAT, GREAT post! i will have to check it out and let people come your way!!! How thoughtful of you ~ TU! Well who ever gets this card is simply going to ADORE it! So CUTE! LVOE the papers and how clever of you not to use a real button for mailing! I always make my card so puffy and bulky! I may just need this cartidge too! Thanks so much for assisting Card Care Connection to help those with cancer. We appreciate your support and consideration! beary nice blog, love bears too and your cards. Hi Katie Love your card. i see from your blog that i need yo buy 2 more carts. Create a Critter 2 and Teddy bear picnic. I also am working on cards for Card Care Connections and i am from Canada. I have a question for you. Where did you buy or did you make your little card stock buttons? I think they are very cute.